Martinsville, Ind. 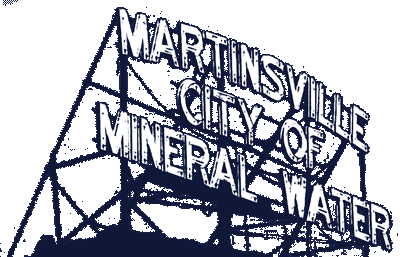 – The Martinsville Common Council passed Ordinance No. 2018-1778 on August 30, 2018, requiring Key Lock Box installation on some facilities in the community. Ordinance No. 2018-1778 refers to the Key Lock Box – “Knox Box” – system being installed on commercial or industrial facilities that have an automatic alarm or automatic fire suppression system. A requirement by Indiana Fire Code, the Key Lock Box expedites access to facilities should immediate on-site assistance not be available to unlock facility doors. With the ability to access a facility immediately, firefighters can quickly assess the situation as an active fire or false alarm and take appropriate action. In either case, it can reduce the amount of damage that can be caused by a fire or forcible entry into the structure. If a fire can be controlled quickly, damage costs can be reduced. More importantly, the situation is safer for firefighters. The Knox Box is a small key safe containing keys for access to entry doors and mechanical rooms that property owners can have installed to the outside of their structure. All Knox Boxes are keyed the same, with the Martinsville Fire Department carrying the master key. These master keys are secured within a Knox Secure Key system to prevent theft. Information on the Knox Box system and how to purchase can be found at www.knoxbox.com or contact the Martinsville Fire Department at 765-342-2343 for more information. Fire Chief Terry Anderson appreciates cooperation from property owners, as this implementation enhances the fire department’s mission – to protect lives and property.